Since 2015, Chinese companies have spent over $20 billion in the acquisition of 21 Brazilian enterprises. Although arbitration is formally considered an alternative dispute resolution (ADR) mechanism, it has been practiced since time immemorial to resolve discords. Globalization brings new challenges which has made arbitration an attractive option for international commercial disputes. As Brazil and China strengthen commercial ties, a natural rise in the number of arbitrations should follow. Dispute resolution refers to a set of rules used to resolve conflicts between two or more parties. Although judicial litigation remains the most used dispute resolution tool worldwide, it presents key disadvantages for businesses, especially with regards to time and cost. In light of this, representatives from the private sector are increasingly seeking to settle disputes with more efficient mechanisms such as mediation and arbitration, with the latter establishing itself as the weapon of choice for international commercial disputes. Accompanying increasing levels of globalization, arbitration has matured into the default dispute resolution method for major international trade controversies between states, multinationals and individuals. Besides having the right to appoint experts with the appropriate experience for each case, when opting to insert an arbitration clause in contracts, parties avoid the potential bias, corruption and inefficiency of certain local courts. Arbitration also prevents the clash of different legal systems by requiring the adoption of a specific governing law. Moreover, once an award is produced by a panel of arbitrators, it is binding to both parties, which provides a high degree of legal security. Prominent arbitration centers exist around the world, such as the International Chamber of Commerce (ICC), the International Centre for Dispute Resolution (ICDR) and the China International Economic and Trade Arbitration Commission (CIETAC). All are currently dealing with a growing demand for arbitration from both companies and governments. For example, the People’s Republic of China is ambitiously seeking to improve regional cooperation and global connectivity on a trans-continental scale, bolstering infrastructure, trade and investments in more than 65 countries from Asia, Europe and Africa. Based on Chinese President Xi Jinping’s remarks last year, when he stated Latin America is “a natural extension of the Maritime Silk Road”, the Belt and Road Initiative will reach the region, especially Brazil, and disputes are destined to rise. According to Guilherme Rizzo Amaral, partner at Brazilian firm Souto, Correa, Cesa, Lummertz & Amaral Advogados and ambassador and full member of the Belt and Road Commission at the ICC, “arbitration usually accompanies economic movements, so when the economic relationship between two countries grows, the search for alternative methods of dispute resolution also increases.” This is the case between China and Brazil. The former has been the main trade partner of the latter since 2009 and its investments, which come to approximately $60 billion since the start of the new millennium, have been consistently growing and diversifying in Brazil, focusing not only on commodities and agribusiness as before, but also on electronics, services, infrastructure and energy. “There is a kind of prejudice with China, as if it was going to buy Brazil out, but this fear never existed with the United States or Germany, for example,” says Mr. Rizzo Amaral. Among the BRICS (Brazil, Russia, India, China and South Africa) countries, Brazil is the leading recipient of Chinese investment. 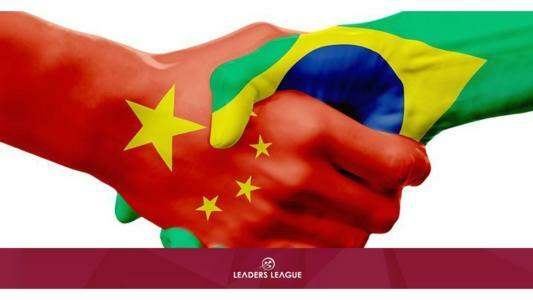 Since 2015, Chinese companies have spent over $20 billion in Brazil and acquired 21 Brazilian enterprises, including 99, controlled by DiDi, and CPFL Energia, controlled by State Grid Corporation. In 2017 alone, Chinese investment in Brazil reached $24.7 billion, more than double the United States’ investment for the same year. If the newly-elected Brazilian government maintains a similar level of economic pragmatism than previous administrations, Sino-Brazilian relations will undoubtedly continue to deepen and international arbitration will remain on the rise between both countries.